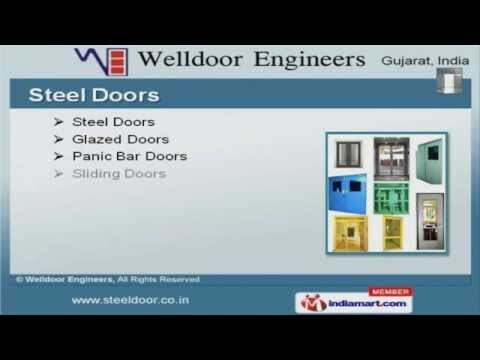 Welcome to Welldoor Engineers Manufacturer & Supplier of Steel Doors, Ventilators, Windows and Door Frames. The company was incorporated in 1979, at Vadodara. Our Experienced R&D wing, Good financial position & TQM make us unique in the industry. Essar Projects Ltd. & Sun Pharmaceuticals Ltd. are some of our prestigious clients and we are backed by customized solutions & competitive prices. We offer a huge gamut of Steel Door, Window Frames & Roller Mosquito Screens. Our Steel Doors are in huge demand across the global markets. Steel Windows offered by us are nothing but the best solution for all your needs. Our Steel Ventilators are acknowledged for their functionality. We also provide Steel Door & Window Frames that are some of our best selling products. Along with that we offer Roller Mosquito Screens that are best in the industry amongst others.